Staying at a hotel near Gillette Stadium in Patriot Place gives you easy access to top events taking place there, such as New England Patriots and Revolutions games, and star-studded concerts. 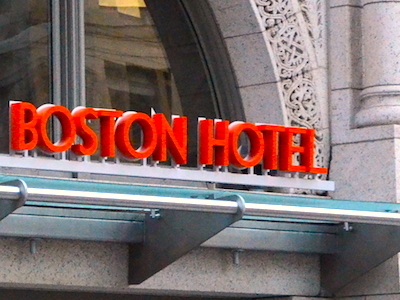 Plus, staying at one of these hotels means you can relax after attending a game or concert instead driving back to Boston or elsewhere. 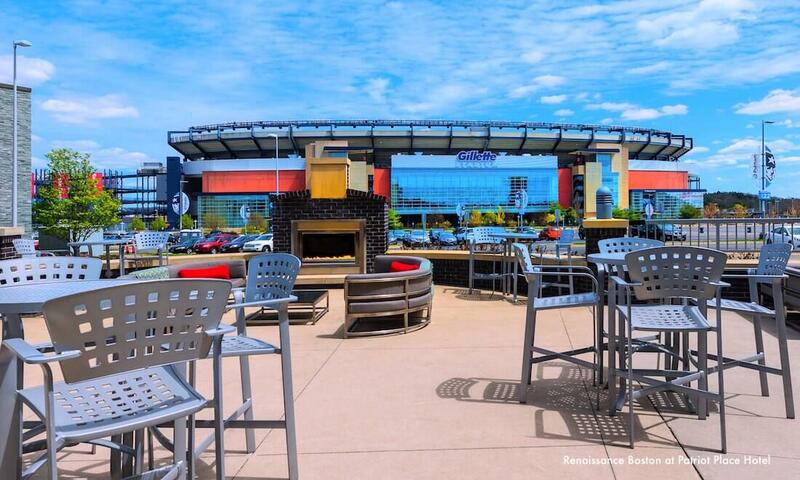 While everyone else waits in gridlocked traffic, you can enjoy the restaurants and nightspots in Patriot Place, the entertainment area next the stadium. These hotels close to Gillette Stadium are also excellent choices if you're looking for a place to stay near Wrentham Village Premium Outlets or popular concert venue Xfinity Center. Word of warning: for Patriots home games and concerts featuring international stars such as Springsteen, Bon Jovi, and U2, these hotels book up quickly. 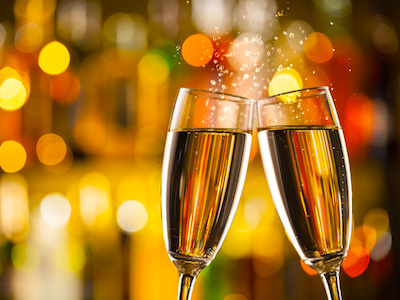 To avoid disappointment, make your reservations as soon as you know your dates. The Renaissance Boston Patriot Place Hotel is located steps away from Gillette Stadium amid restaurants, nightspots, and shopping in Patriot Place. 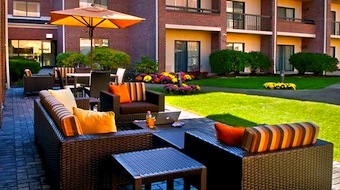 You'll love the hotel's outdoor terrace dining overlooking Gillette Stadium, shown in the photo at the top of this page. When you stay at the Renaissance, you'll avoid traffic gridlock leaving the stadium - and maximize your fun by trying the luxe spa and indoor pool. The Hilton Garden Inn Patriot Place is brand-new, and is surrounded by Gillette Stadium and all the restaurants, bars, entertainment options, and stores in Patriot Place. You can relax in the indoor salt-water pool, unwind on the outdoor patio, and enjoy the 49" flat screen TV and other amenities in your comfortable room. Like the Renaissance, the Hilton Garden Inn places you within an easy walk to the stadium and all the fun at Patriot Place - no need to sit in your car in traffic gridlock! 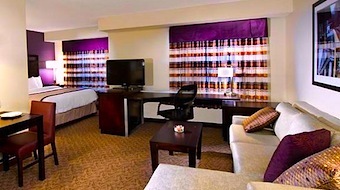 The Residence Inn's combination of all-suite accommodations plus a free hot breakfast buffet is hard to beat. The hotel's outdoor pool, exercise room, and a basketball court give you a lot to enjoy. 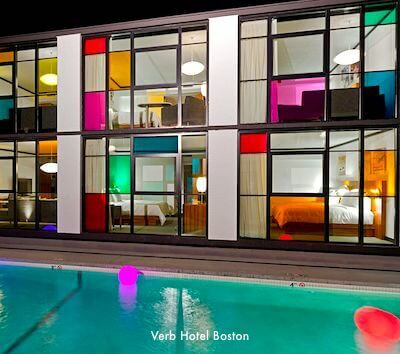 Part of the Marriott's hotel group, the Residence Inn Foxboro is less than 2 miles from Gillette Stadium. 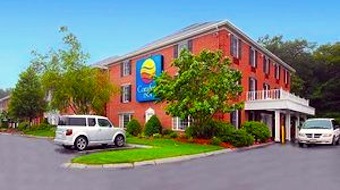 The Courtyard Hotel in Foxborough is about 2.5 miles from Gillette Stadium, and close to Routes 95, 495, and 1. The patio dining area, shown in the photo, provides a great place to relax. You can also enjoy the indoor swimming pool and exercise room. 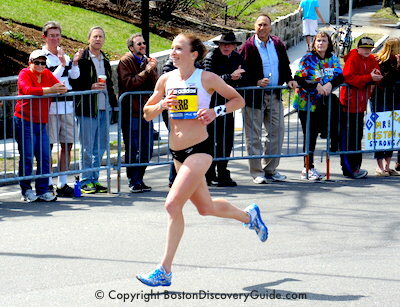 The Comfort Inn is located about 6 miles from Gillette Stadium, just on the other side of Route 95. 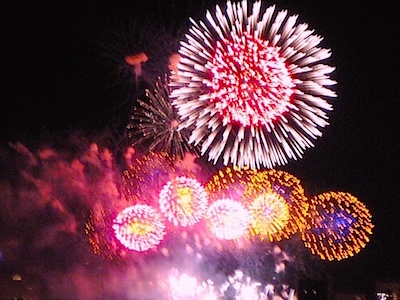 It offers a free continental breakfast, and has a 99 Restaurant onsite. The Comfort Inn can be a good choice when you need a comfortable room at affordable rates.